Let our Garden Maintenance Team Take Care of Your Garden so You don’t Have to! 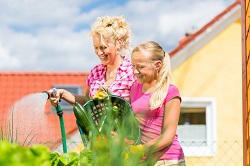 Here at Gardening Gardeners we know just how difficult it can be taking care of your garden. If you are trying to juggle your spare time as it is, then it is highly unlikely that you will be able to find the free time needed to dedicate to maintaining your garden. The good news is that we are able to help. Our professional garden maintenance team are able to offer a huge number of different services that will allow you to make sure that you have the garden that you have always dreamed of, without having to put in any of the hard work that is needed to achieve this. Our highly professional team of gardeners are able to offer a number of different services and all of them are carried out in the most professional manner possible. If you would like to discuss any of our gardening maintenance services, or you would like to run your own ideas past us, then please don’t hesitate to get in touch with us today. There are a number of ways in which you can do this. However, the best thing that you can do is to give us a call. By doing this, you can speak to a friendly member of staff who will talk you through anything that you would like to know about our garden care services. You can do this by giving us a call on 020 3608 9323 and somebody will be there to talk to you. Keeping your garden maintained is actually not as easy as you may first think. There are so many different things that may affect the spare time that you have to dedicate to your garden. We know and understand this ourselves. In this day and age, free time is very hard to come by. 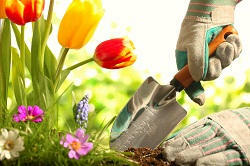 It is even harder to find the spare time that you will need to keep on top of your garden maintenance. It is very unlikely that there will be enough hours in the day to dedicate to garden maintenance, in fact. Fortunately, this is where we are able to step in. We have a huge amount of different services to offer to our customers, making maintaining your garden very easy to do indeed. Our team of gardeners are highly dedicated and professional. Between them, they have years of experience that they are able to offer all of our customers. What this means is that here at Gardening Gardeners we are able to guarantee that we will provide the highest standard of service possible. We not only offer garden maintaining services, but we are also able to offer our customers a number of other services, too. For example, we can provide you with garden design services as well. On top of this, we can provide hedging and pruning services. All of our garden care services are designed to allow you to make sure that you have the backyard that you have always wished for. This means that you will have a garden that you are proud to show off in the summer months when you invite family and friends around for a barbeque. You will want to show off your new garden to everyone that you know. If you think that our maintenance services are what you are looking for, then don’t hesitate to get in touch with us right now. Our services are second to none, and we guarantee that you will be happy with the results. Give us a call today to see how we can help.